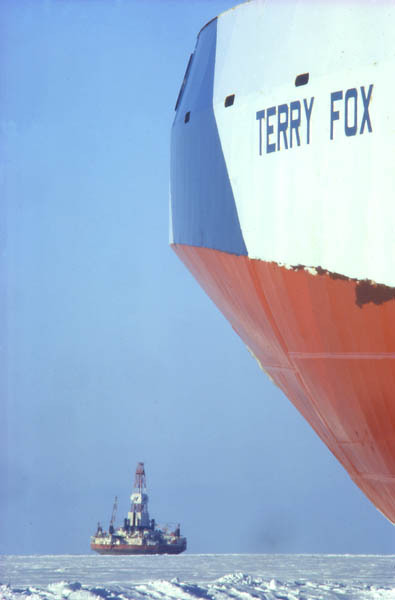 The icebreaker Terry Fox, named after a young Canadian who lost one leg early in his life to cancer and attempted to run across Canada from the Atlantic to the Pacific Ocean to raise funds for cancer research. Terry covered 5342 kilometres in 143 days before he was stopped by the spread of cancer. He is one of Canada's national heroes.